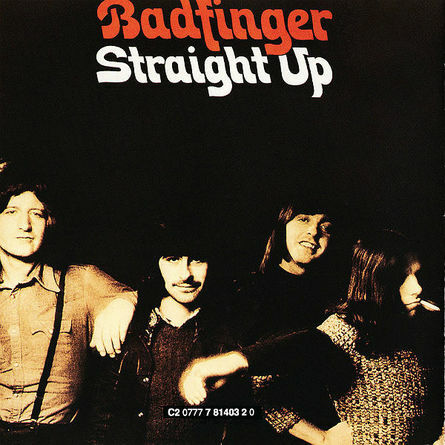 An electric guitar lesson on how to play the electric rhythm guitar parts and solos to “Baby Blue” by Badfinger from the “Straight Up” album released in 1971. In the second video I’ll show you how I think he played it on the record, then I’ll show you a much easier way to do it with a capo on the 4th fret. I’ll also show you a combined electric/acoustic “campfire” version, for those who just want to play it on an acoustic guitar but include all the licks. Baby Blue has always been one of my all-time favorite tracks. For me, it’s the perfect pop record. It has a certain magic about it. It has that sort of Phil Spectre “Be My Baby” groove to it, but it takes it a step further with the brilliant melodies and harmonies. I was happy when it re–emerged in the final episode of Breaking Bad, it fit that so well. Badfinger were such an excellent band. Pete Ham’s writing was amazing. No Matter What, Day After Day, and Without You are just total classics. The “Straight Up” album was produced in part by George Harrison, although he had to abandon it to put together the concert for Bangladesh. He hired Todd Rundgren to take over production duties. With these kind of folks involved you can see why some of these songs have stood the test of time. I had a really great time working on the demo and doing the lesson for this song. When you break them down, you realize what great musicians these guys were. The drumming on this track is excellent, and it’s no surprise that it’s very Ringo influenced. Also the bass playing is great, again very Paul McCartney like and of course the electric rhythm guitar part is a classic and apart from the actual melody, it really makes the song.